This year, Maker Expo is proud to present a speaker series showcasing makers and creatives who wish to share their passion and craft with, you. This speaker circuit will present 10 different individuals and topics that are guaranteed to awe and inspire. Headlining the series is local educator and sculptor, Matt Morris. 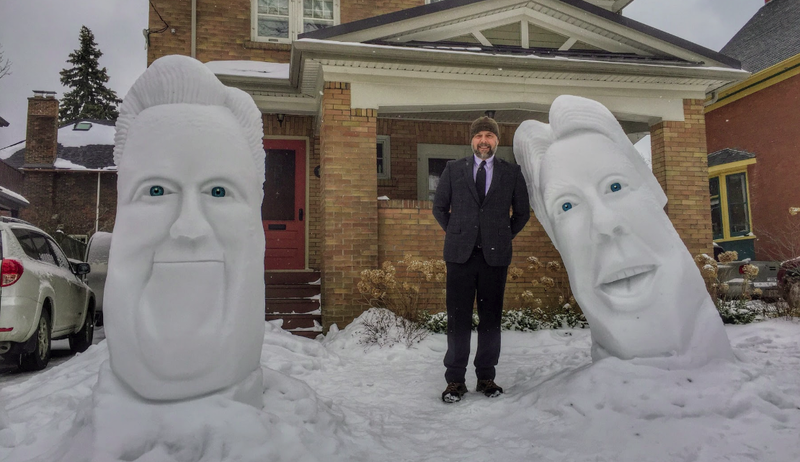 While he spends his weekdays teaching young minds, he dedicates his winter weekends to sculpting large animated faces. His medium? Snow! In his talk Matt will discuss how to get started by creating a stable and impressive tower—from any type of snow. He will cover simple tool design, how to develop and unleash your creativity, connecting with the community and how to keep warm at -20C! Here’s a peek at some of his amazing sculptures! Do you have a craft, idea, or passion you’d like to share with the community? If you’re interested in sharing your story through the Maker Expo Speaker Series or want more information, contact us at speakers@makerexpo.ca by Friday April 20th.